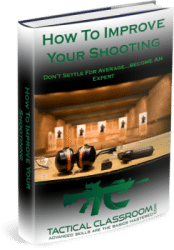 On this page, you will find a basic calculator designed to run the Optimum Bullet Velocity Formula (OBV) which is basically Matunas Optimum Game Weight Formula but reversed. This is how I prefer to run the formula and I’ll explain why later. But first…what’s it all about? When hunting at longer distances, it is extremely important that you are aware of the limitations of your rifle/cartridge combination and of course yourself. This will help to avoid unnecessary situations where an animal is injured, causing it to suffer. Traditionally, many hunters used the Optimum Game Weight Formula developed by Edward A Matunas comes in. You can find out more about the Matunas Optimum Game Weight Formula by clicking here. Now…as good as the OGW formula is, it does have its limitations (as do all other hunting formulas). Essentially, no formula can account for bullet design/construction or shot placement. However, the original OGW formula is a great “indicator” as to the suitability of a given cartridge for various sized game, which is why it has been adopted by so many hunters. Matunas even developed a varmint version of the OGW formula. 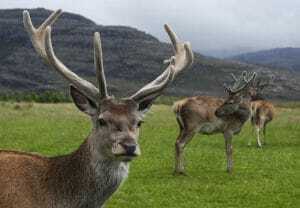 Calculate your Optimum Bullet Velocity (OBV) so you can work out your maximum range for game like Red Deer. (Credit Mehmet Karatay). BUT personally, I find the original OGW formula a little cumbersome. I don’t like “tweaking” the velocity data until I reach the weight of the game I intend to hunt. This allows you to simply enter the weight of the animal you intend to hunt (because most hunters will know the likely weight of their intended target), and then the bullet weight in grains. This will give you an Optimum Bullet Velocity (OBV) at which you can shoot that sized animal, and you simply cross-reference that OBV to your ballistic data. Now…as you can see, this is some pretty involved math! I don’t know about you but math isn’t really my thing. I’d much rather be shooting than running calculations or formulas. This is why I prefer to use the Optimum Bullet Velocity Formula (OBV) calculator instead. I’m not a web developer so until such time as I can afford to hire a web developer to “pretty” these calculators up, you’ll have to make do. If you prefer to work in m/s instead of fps OR kgs instead of lbs, no drama…I’ve got you covered with converters for those units also. NOW…you may also be interested in some of our other calculators and converters. Check them out the Long Range Shooting Formulas page. P.S. I hope you found the Optimum Bullet Velocity Calculators useful. If you did, I would appreciate it if you would SHARE this page with friends who may be interested.